Sun and Shadow, Åke Edwardson, translated by Laurie Thompson. New York: Penguin, 2006. Summary: DCI Erik Winter, newly bereaved of his father, is confronted with a gruesome double-homicide of two sexual “swingers”, the possibility of involvement within his own ranks, and a pattern of clues that suggests that his partner, pregnant with their first child, may be at risk. I am a fan of Penguin mysteries. I will often buy one even if I’m not familiar with the author, because I’ve found them to be consistently well-written and well-crafted as mysteries. I came across this one in a second hand store, by Swedish crime writer Åke Edwardson. I was not disappointed but it took reading the first hundred pages to fully engage my attention. After that, I was riveted. In the first hundred pages, we are introduced to the characters, especially Detective Chief Inspector Erik Winter, impeccably dressed, a lover of jazz, and engaged in a serious relationship with Angela, a doctor who is bearing their first child. Much of the first part of the book is taken up with his final visit with his dying father in Spain, interrupted by a bloody double murder involving sexual “swingers” back in Gothenburg. We are introduced to Patrik, a newspaper carrier who in fact saw the murderer and first suspects something is not right in the flat where the murder occurred, his girlfriend, Maria, the building caretaker who reports the murder (and is also caretaker in Winters’ building), and the police who work with Winter. As it turns out, all this scene-setting and character development is important as we follow Winter into the investigation. Winter’s investigation centers around clues left by the murderer. A cassette of “black metal” music with its lyrics. The word “Wall” written in blood with the “W” circled. The beheaded heads of the victims swapped on their bodies. Then there are the calls to his flat when only Angela is there. The presence of someone in the caretaker’s basement cubbyhole in his building. A second murder of another “swinging” couple. A crime psychiatrist thinks the clues point toward someone who wants to be stopped. By Winter. Evidence points to a policeman or someone dressing as one. Can the people around Winter be trusted? Is Angela and their baby in danger? One finds oneself more and more drawn into the suspense as the killer and Winter get closer to each other. Skillful misdirection has us suspecting several different individuals even as we approach the book’s climax. The plot is dark, yet we have decent people wrestling with the profound realities of life against the gruesome backdrop. I was delighted to discover at the Penguin Random House website that there are at least four other Erik Winter mysteries available. Winter is a well-drawn character, and Edwardson a fine writer whose work I want to come back to. I think you will as well. The Murder of Roger Ackroyd, Agatha Christie. New York: HarperCollins, 2002 (originally published 1926). Summary: Poirot comes out of retirement to solve the murder of Roger Ackroyd, who is killed after learning that the woman he loved, who has taken her life, had poisoned her first husband and was being blackmailed to cover up the fact. There are some who consider this among the very best of Agatha Christie’s mysteries. It is the only one appearing in the list of 1001 Books You Must Read Before You Die. I am inclined to agree that it is one of the best I have read, particularly for the unusual surprise at the end. Mrs. Ferrars has committed suicide. Her husband had died the previous year under somewhat suspicious circumstances. Dr. James Settles is the physician consulted on the case and it turns out that he is with wealthy Roger Ackroyd when Ackroyd, who had fallen in love with Ferrars, receives a suicide note confessing she had poisoned her husband and was being blackmailed by someone she named in the letter who knew the fact. Ackroyd refuses to reveal the contents of the letter. 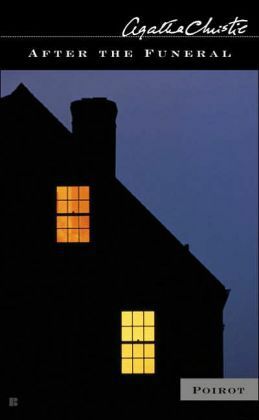 Later that evening Settles receives a call informing him that Ackroyd has been murdered in his study. He goes to the house and discovers it is so, in the neck with a knife from a collection of curios. Flora Ackroyd, a niece who stands to inherit a tidy fortune, having agreed to marry Roger Ackroyd’s choice of spouse, Ralph Paton, enlists the help of Hercule Poirot, who has retired and lives nearby. Dr. Settles, who saw the crime scene, becomes Poirot’s aid in the investigation and is the narrating voice in the story. Flora is particularly concerned because Ralph has gone missing and is the prime suspect, because of his financial straits. But others in the household are also suspicious. Parker the butler appears to have been listening at the door of Ackroyd’s study during the meeting between Ackroyd and Settles, and then again later in the evening as well. Others seems to be hiding things as well: Flora’s mother Mrs. Ackroyd, Hector Blunt, a friend staying with the family, Geoffrey Raymond, the secretary, Mrs. Russell and Ursula Bourne on the staff. There is a strange American-sounding figure who gets directions from Settles to the house shortly before the murder took place. Working alongside Inspector Raglan, Poirot with the help of Settles and his sister Caroline seek to get to the truth these different characters are hiding. There is also the puzzle of who it was Ackroyd was speaking with shortly before his death and why one of the chairs in the study was moved out of place. Eventually there is the traditional “gathering of suspects” at which Poirot reveals the killer. I can say no more because this is where the plot takes a surprising turn. What I enjoyed was the character of Poirot. One sees why he is one of the most celebrated figures in detective mysteries. He is thorough, thoughtful, relentless in the pursuit of truth, intolerant of deception, and gentle when people confess the truth. He takes truth seriously but himself not at all. He can be both droll, and infinitely sad as he ponders the evil people do. I’ve read or watched other Poirot stories but found his character especially well drawn here. Likewise, the plot seems to move at just the right pace, unraveling each thread of the mystery until all is prepared for the final revelation of the murder. The perfect book for a summer read, or any time you need a few hours of rich diversion. One of the most fascinating things about the Internet from when I first started using it twenty years ago was this sense of having the world at your fingertips. I remember downloading Mosaic for the first time and discovering this thing they called a search engine, in this case, an early version of Yahoo. Organized by categories, you could search and drill down from topic to topic. Eventually Google supplanted Yahoo, and then conceived the project back in 2004 of digitizing every known book. I’ve used this to track down quotes to their sources (and sometimes discovered that there was no source for the quote attributed to a particular author). I’ve downloaded 19th century sermon collections available for free. I understand that in recent years, Google has slowed down these efforts. Some would contend this reflects a shift in mission to use of search data in marketing, but it also reflects the fact that they’ve digitized over 20 million books! And they’ve been hampered by some lawsuits along the way. Another outfit that has also been digitally archiving books and an incredible array of other materials is the Internet Archive. The Internet Archive is a non-profit effort launched in 1996 in San Francisco that includes text, audio, moving pictures, software, and, significantly, archived web pages. I discovered for example that you can look at a collection of archived campaign webpages from 1996. One of the challenges of the internet is its ephemerality. Have you ever come across a weblink that no longer works or a page that no longer exists? The Internet Archive may be the place that still has a record of this. From their homepage you can use their Wayback machine to enter an old URL to see if it is in their archives. One of the other standout features of Internet Archive for the computer geek is old software from MS-DOS games to VisiCalc for the Apple II. They even have an emulator that allows you to play the games in your browser. Yes, you can play Oregon Trail again! One writer described the Internet Archive as “a chaotic, beautiful mess”. Indeed, among other places you can go from their home page is a free audiobook collection, a Grateful Dead collection, the Biodiversity Heritage Library, The Iraq War Collection, The Portuguese Web archive, and that collection of MS-DOS software! The question of course, is whether you can find what you are looking for. My sense is that Google’s search algorithms are better for getting you in the neighborhood of what you are looking for. But the Internet archive is just a fun place to snoop around, and you can do it from your own home. It occurs to me that one of the big questions around the future of libraries and archives is both how to preserve materials in physical form and also to continue to preserve digitized materials including media that only ever had a digital format, especially because of the weird paradox that digital materials often degrade far faster than the printed page. It makes me wonder if a journal on my daily doings will last longer than my social media presence on Facebook’s servers–of course, who is going to want to study either? At any rate, exploring all this reminded me that librarians and archivists to day face very different challenges in preserving not only printed primary source materials but the digital record of our society. It will be an interesting task to figure out what is important enough to safe and what is just ephemera! The Nine Tailors, Dorothy L. Sayers. San Diego: Harcourt Brace, 1966. Summary: Lord Peter, stranded in Fenchurch St. Paul due to a driving mishap, later is enlisted to solve the mystery of the death of an unidentified man, whose body is found buried atop the grave of a recently deceased woman. The “nine tailors” refers to the nine tolls of a bell when an adult man has died, after which the years of his life are tolled. Lord Peter Wimsey suffers a driving mishap on the unfamiliar roads near Fenchurch St. Paul, in the fen country of East Anglia, on New Year’s Eve, and is forced to find refuge with the somewhat absent-minded village rector, Venables and his wife. Venables is a change ringer and the church has an impressive set of bells. Wimsey ends up taking the place of Will Thoday, taken ill with influenza and participates in ringing the bells for nine hours to ring in the New Year. While awaiting the repairs on his car, Lady Thorpe dies and Wimsey learns that sad tale of the Thorpe house, whose fortunes were impaired by the theft of an emerald necklace from a house guest, Mrs. Wilbraham, whose loss was made good by Henry Thorpe. The butler, Deacon, and a London accomplice, Cranton are found guilty of the crime, but the emeralds are never found. Both went to prison, but Deacon’s body was supposedly discovered in a pit after a prison escape. During the intervening four months, Henry Thorpe also takes ill. Daughter Hillary, dealing with impending loss, ascends the bell tower one day and finds a scrap of paper covered with unusual writing that turns out to be a cipher for the location of the missing emeralds. When Henry dies, he is to be buried in his wife’s grave, which when opened is found to hold another, unidentified body, missing its hands and with the face smashed in. Rector Venables calls in Wimsey to help solve the mystery of this death. And mysterious it is, not only because the man in this grave cannot be identified for lack of fingerprints, but also for how he died. Neither the rope with which he was bound, nor the injuries were the cause of death. Wimsey’s investigations take him to London and to France, where he encounters the widow of the man in the grave. There is more to be learned of both Deacon and Cranton, and also the involvement of both Will and James Thoday. What did Potty Peake, the village simpleton, witness of the mysterious man’s death? And what will the mysterious scrap of paper found by Hillary Thorpe reveal of the hiding place of the necklace? The potentially tedious bell-ringing material is interspersed with methodical police Superintendent Blundell, spunky Hillary Thorpe, and the amusingly absent-minded Rector and his capable wife, who tend to both the spiritual and physical life of their parish, acting with aplomb when faced with the flooding of the fens at the end of the book. Of course, Lord Peter occupies center stage, with his faithful sidekick Bunter, as he unravels the mystery while playing mentor to the orphaned Hillary. No cold detective, this man, who discovers as he unravels the truth, the difficult and delicate work of exposing basically decent people caught up in a bad business. Sayers gives us an intricate, well-crafted, and winsomely human mystery. Surreality, Ben Trube. CreateSpace Independent Publishing Platform, 2015. Summary: The murder of Franklin Haines in virtual reality is paralleled with the real theft of $80 million from him. A prostitute is missing, a deadly gang that operates in both cyberspace and the real world threaten murder and mayhem, and Detective Dan Keenan, his real world and virtual world partners and a penguin named Tux work together to find the real criminal behind this web of crime. Surreality is a virtual world where dreams can become reality, whether a re-created library of Alexandria, a casino named Arcadia, or darker enterprises for pleasure or crime or both. The book begins with the opening of the casino literally created before our eyes out of cherry blossoms that coalesce into an art deco masterpiece. Entrepreneur Franklin D. Haines celebrates this great business enterprise as a hint of the future grandeur and opportunity available in Surreality, until his avatar is fatally strangled and the whole edifice collapses, even while $80 million is drained out of his real life accounts. During all of this, an accomplished virtual madame disappears, as does her real life counterpart. Because Franklin Haines lives in Columbus, Ohio, Columbus Metro Police Department Detective Dan Keenan is called off of administrative leave by his boss Tom Daily to investigate the case. Keenan is damaged goods, having shot in an alleyway a maniacal murderer by the name of Sinclair who was wielding a knife. He has a hard time shaking the nightmares and memories of that night and wonders if he has a future. Daily gives him this case with the hopes it will get him back on his feet and working again with his partner Sonya Caliente. His first assignment is to learn about Surreality, where he discovers he has another partner, Synthia (Synthetic Intelligence Algorithm), kind of an edgy Siri who looks great in a red dress. And as he begins his virtual investigations, he is soon joined by an expert hacker, Tux, whose avatar is a penguin. Things get more complicated. Tux introduces Keenan to the nefarious Polos (Power Lords), mostly internet thugs and identity thieves who have also set up shop in the nether worlds of Surreality. Meanwhile, an attempt is made on Haines life in physical reality, where he dives in front of his elegant wife, Katherine Haines, saving her life while getting wounded. A possible suspect, Dr. Glassner, the promoter of the Alexandria Library collecting the world’s knowledge, is also virtually murdered and robbed. It turns out that Glassner and Haines played the leading roles in developing Surreality, falling out over whether it would be a center of culture or commerce. Caught between these two is Katherine Haines, also a programmer, the step sister of Glassner and wife of Franklin D. Haines. For the most part, the plot moved along and drew me in. There were a few sections, particularly at the beginning when the technical description seemed to slow things down. This book is classed on Amazon as a “technothriller” and it seems that a certain amount of technical explanation was necessary to establish the plausibility of the technical parts of the plot. This is facilitated with a main character, Keenan, who was pretty clueless when it came to computers, and by Synthia, whose attitude made it all a bit more fun. I found myself liking these characters, even the virtual ones, who I discovered from the ending, may live on in future installments in this series (this is marketed as Volume 1 on Amazon). And I enjoyed the imaginative descriptions at various points such as the creation of a casino out of cherry blossoms at the beginning, the transport tunnels to different parts of Surreality, and the scene where Tux and Keenan have to successively hop their way across nine lanes (data streams?) in an attempt to rescue Ms. Klein, the madame. All in all, a good read that met my basic good read test–did it keep me up at night. It did, and I finished it over a weekend. Disclosure: While I paid for the e-book that I used for my review, I should disclose, for those who haven’t figured it out, that the author is my son. I won’t claim to be an impartial reviewer in this instance, but I hope I’ve given you enough to decide if this is something you might like. Well done, Ben! 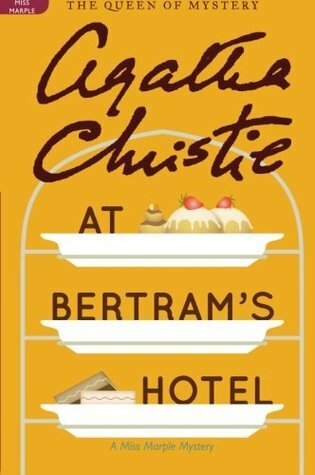 I recently reviewed Agatha Christie’s At Bertram’s Hotel. Agatha Christie mysteries are a favorite summer read for me. Here is a review of another novel that I wrote last summer. This was a wonderful diversion during a very full schedule of meetings in this past week. Agatha Christie always seems good for that and why I chose her for a break from serious reading during some serious discussions. Leaving aside the personal stuff, the relatives of deceased estate owner Richard Abernethy are gathered for the reading of his will following his funeral. He had been ill but nevertheless had died rather suddenly in his sleep. Entwhistle, the family lawyer has just announced that the proceeds will be divided in six equal shares among the family when Cora Lansquenet, a daffy niece known for saying what she thinks, pipes up and asks, “But he was murdered, wasn’t he?” The fuss dies down until the next day when Cora is brutally hatcheted to death, in what appears to be a break-in. At this point, Entwhistle’s suspicions are aroused and his informal discussions with family members only deepen the impression that any of them could be involved in this murder, and presumably Richard’s. And so he calls in Poirot, an old friend. Tension deepens when Mrs. Gilchrist, Cora’s housekeeper and companion, suffers a serious poisoning incident with an arsenic-laced piece of wedding cake. It appears there is a desperate killer set on wiping out anyone who might have a notion of who committed the murder. When Helen Abernethy realizes who is responsible, she is struck on the head and knocked out, just on the point of revealing the truth to Entwhistle. Poirot deduces the true killer from what she did say and reveals the killer in one of those typical library scenes where the whole family is gathered. Of course, I will leave the fun of discovering the murderer to your reading. Having read some Christie, I would say that it was a bit of a surprise, and yet not a surprise at all. Have fun with that! I came by this book as a free giveaway as part of World Book Night, which has suspended operations for lack of funding. Even if you have to buy this, I think you will find it a diverting and worthwhile read. First posted here on July 29, 2014. Summary: An exploration of the mysteries and apparent contradictions in life that call followers of Christ into the life of faith. A good book for a thoughtful, general audience for whom the “conventional” answers are not working. Most of us don’t like things that seem contrary to each other. We often try to resolve the messiness of either-or binaries by choosing one and dismissing the other–until that stops working. 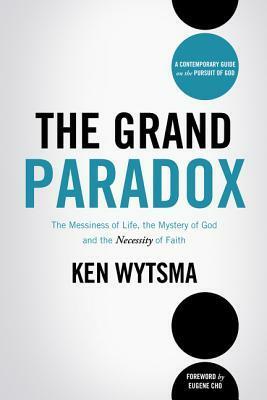 Ken Wytsma argues that paradox is at the heart of the life of faith in Christ, and is the only way to live with the messiness of life and the mysteries that lurk behind statements like having to lose one’s life to find them, that it is more blessed to give than receive, and that givers prosper while misers perish. After introducing this idea he begins with our idea of faith and drawing on Kierkegaard’s Fear and Trembling uses the story of Abraham’s sacrifice of Isaac to talk about faith as implicit trust and obedience that walks into the unknown. This means walking into the life of unceasing prayer that learns to listen for the voice of God. This in turn leads to the startling paradox that loving God calls us into living justice in the world. Living joyfully is found not in having but “on our heart’s wanting the right things” (p. 62). The remedy for doubt is not answers. He argues that when we doubt and struggle, the answer is both honesty about our doubts and pain, and paradoxically a faith in the goodness of God we cannot see. We find our way in life not by discovering God’s plan but by pursuing God and pressing into the life of love which is always God’s intention for us. Living well is not a consequence of more information, more experiences and more technology but growing in the Christ-shaped life. As flawed as the church is, it’s messiness is what we need to sort out our lives. The last chapters focus on our destiny, the eternity that begins now, living with hope in the darkest hours, and the patience that waits for the blessing of God on God’s terms. It is living in the tension of being between the gardens of Eden and the New Jerusalem, which is often a Gethsemane experience. As you can tell from this summary of the book’s contents, Wytsma gives us less a linear argument for paradox than a series of reflections on the paradoxes that run through the life of a Christ-follower. He draws on philosophers like Pascal and Kiekegaard and theologians like Niebuhr and stories out of his own life and community to provide to explore different facets of this paradoxical life of faith. It’s one of those books to be mused on a chapter at a time rather than read straight through. This is a readable book with short chapters but not simple answers. He describes a Christian life with lots of loose ends and mess, with doubt and pain and darkness. Yet he also gives an account of the life of faith that has a ring of truth–one that helps the person in the midst of the mess to go on pursuing God. Such writing is all too rare as are such voices in the pulpit. May Wytsma’s tribe increase.